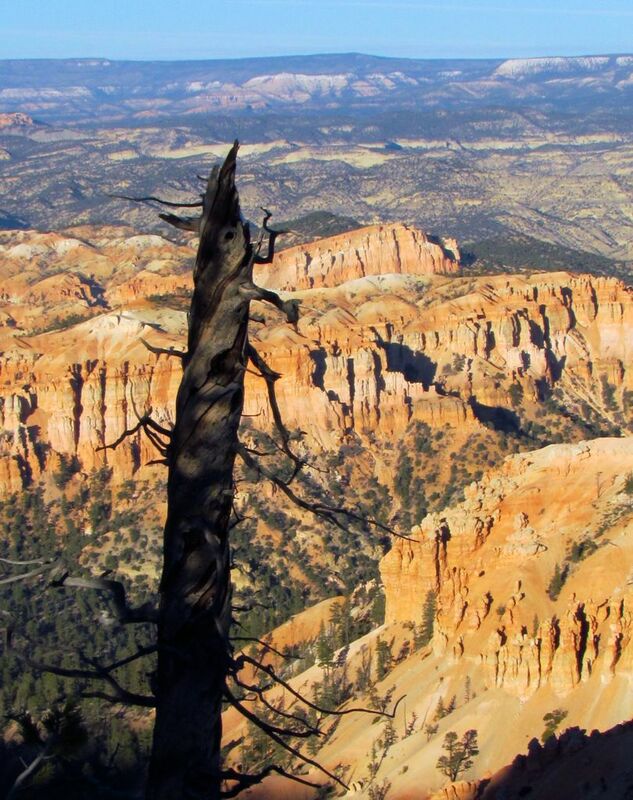 November 2013 we travelled to the Great American West. 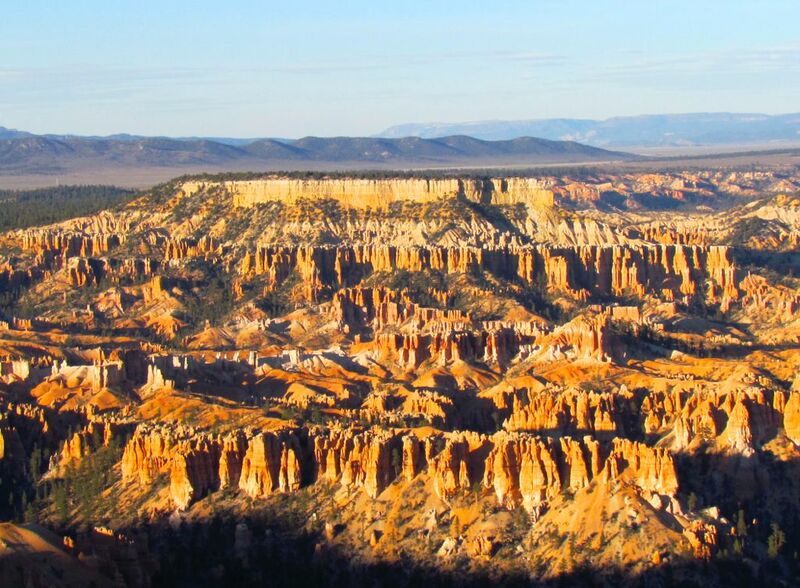 Our destination being the canyons of Southern Utah. 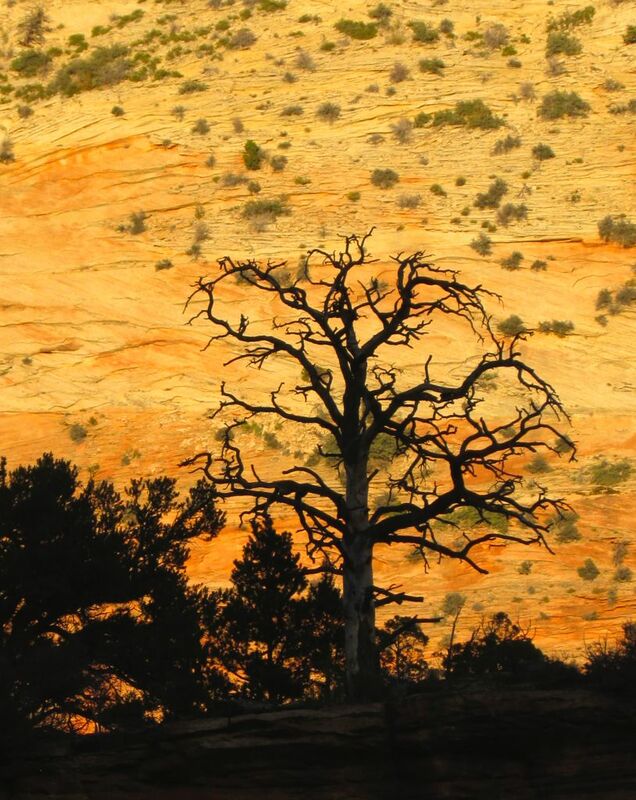 Springdale, Utah is a quaint village at the western entrance to Zion National Park. 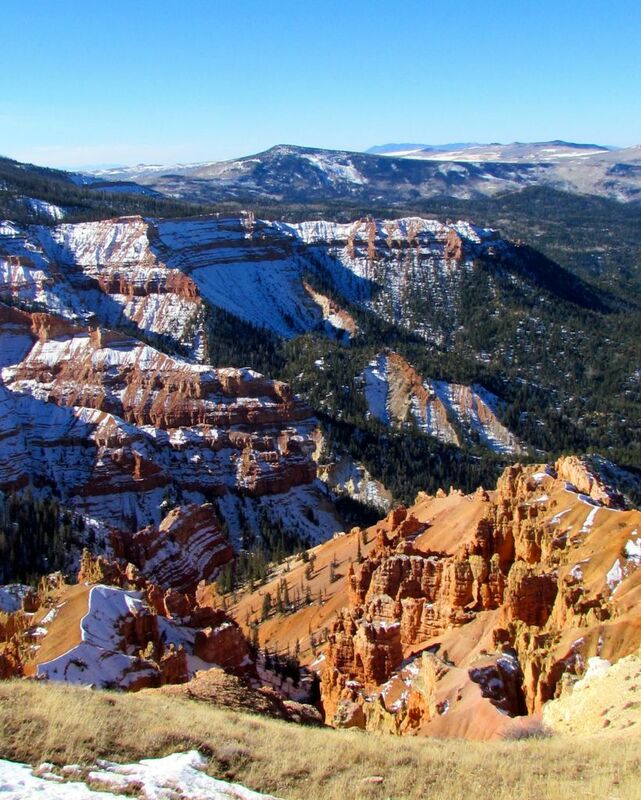 It’s a cool town, one of our favourites in America with excellent choices for lodging and dining, interesting galleries and outfitters for hiking, climbing and biking. 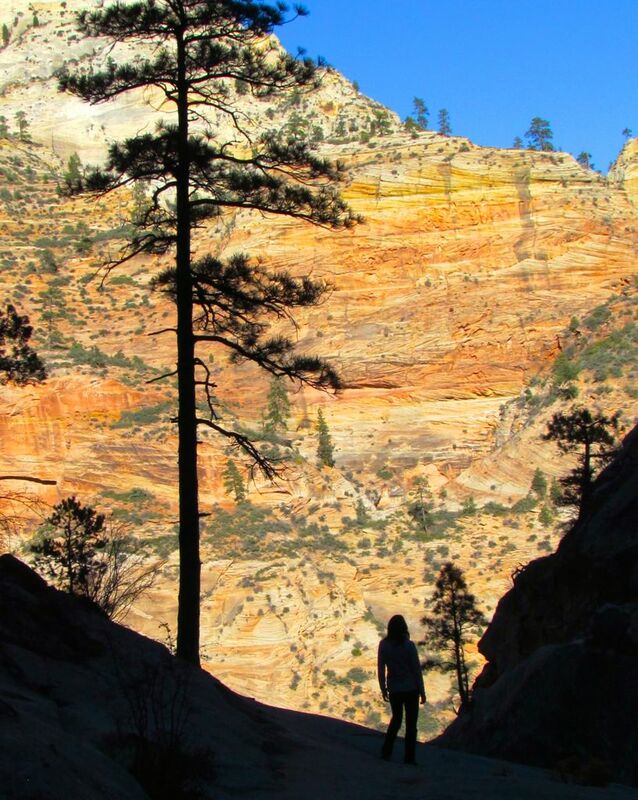 Zion National Park offers many hiking trails. 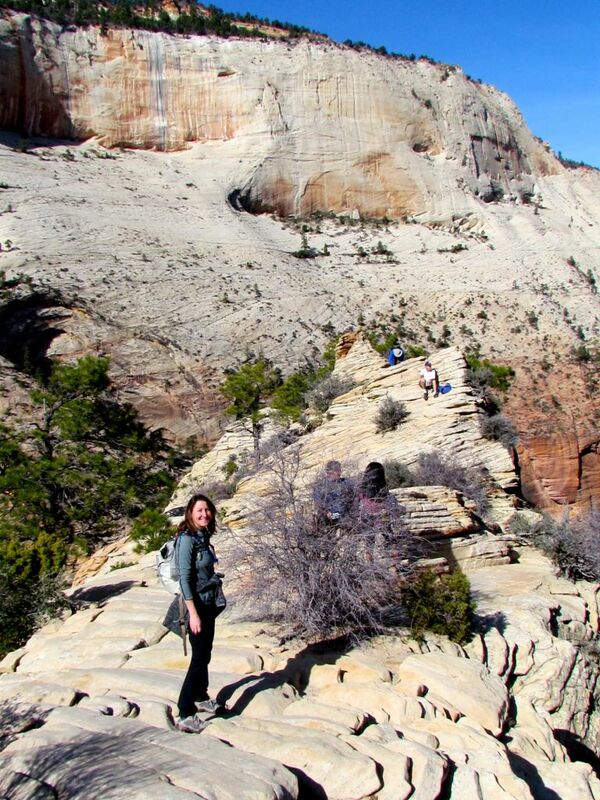 We elected on Angels Landing, one of the most thrilling and famous hikes in the US national parks, delivering spectacular views of Zion Canyon and a nerve-wracking challenge to the top. 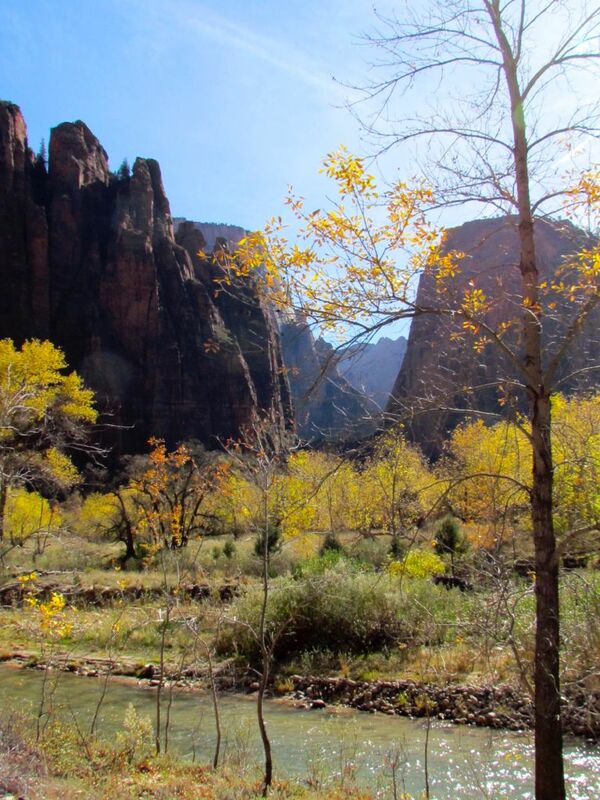 Start of the trail along the Virgin river. 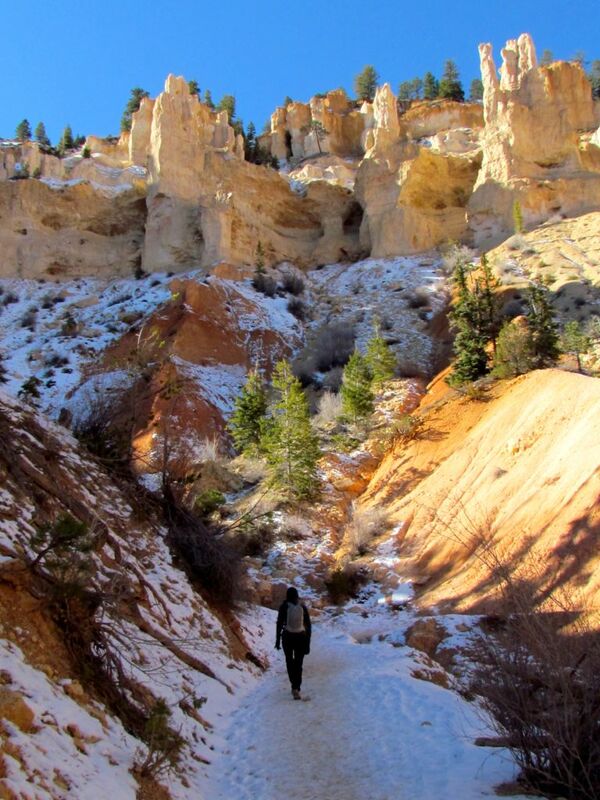 Strangely the lower trail is paved which makes for an easy walk but soon it climbs in elevation through Refrigerator Canyon. Next is Walter’s Wiggles, a short, steep section of tight switchbacks that leads to Scout Lookout where the real challenge begins and the faint of heart turn back. 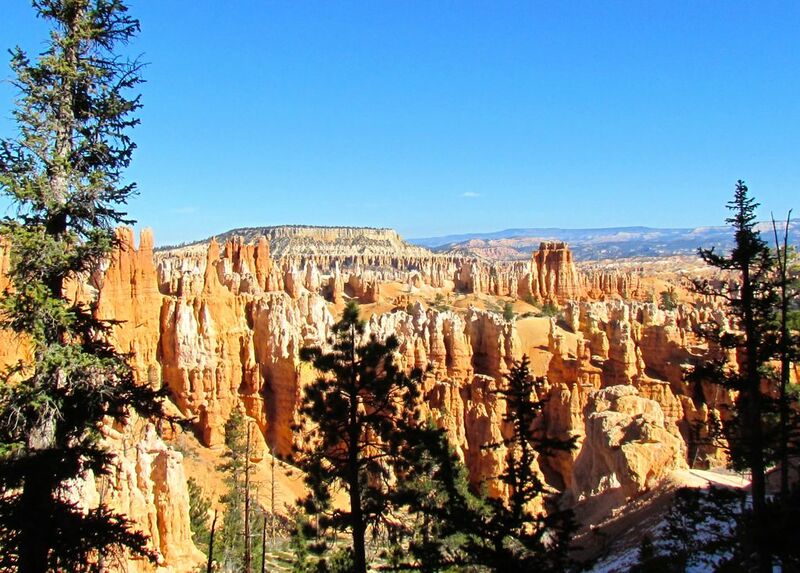 The final 1/2 mile is across a precarious natural stone bridge with sheer 1,000 ft drop-off on either side and among the most dangerous public hikes in the US. 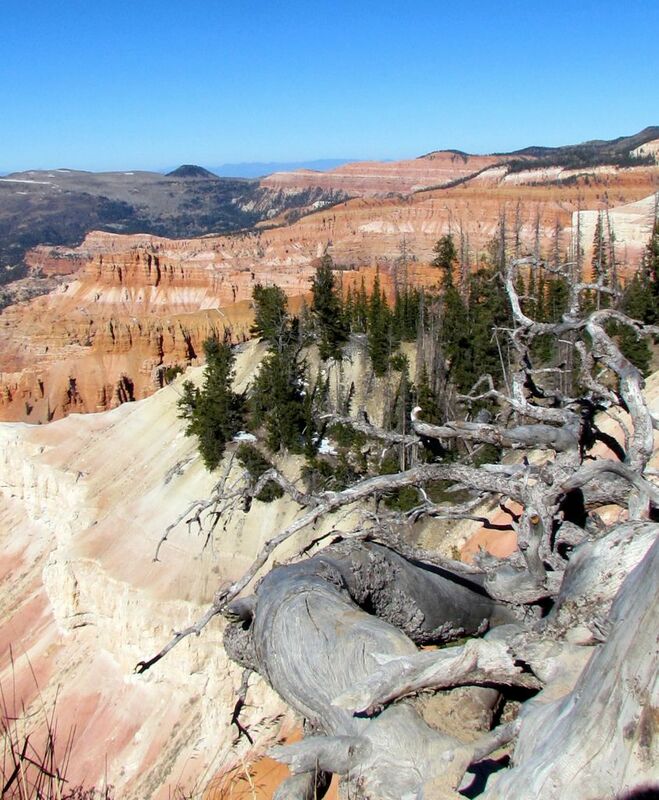 The ridge path is narrow with a perceptual vastness around you and sure death if you slip and fall. It is more a mental challenge than a physical one involving scrambling along a path lined with heavy chains. The chains give you a false sense of security and you must ensure to advance cautiously with stable and balanced footing. Gordon didn’t take as many pictures as he wished through this section. 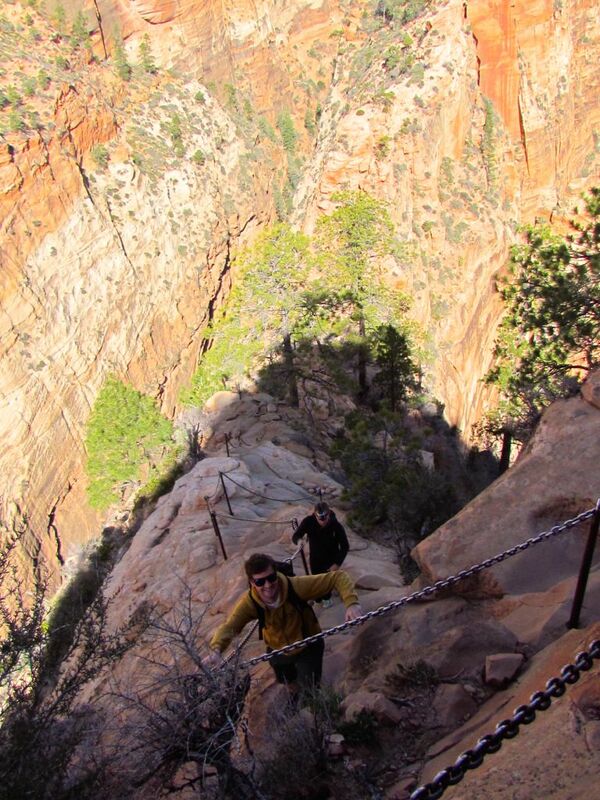 Ginette worried about Gord taking a missed step, trying for a perfect angle and ending up as another Angels Landing statistic. Recovering from our adrenaline rush morning, we leisurely spend the afternoon appreciating the scenery along short and easier trails. We departed Zion via Zion-Mount Carmel Highway through a unique display of geological wonders and headed north-west as the sun set over Southern Utah our next stop being Bryce Canyon. 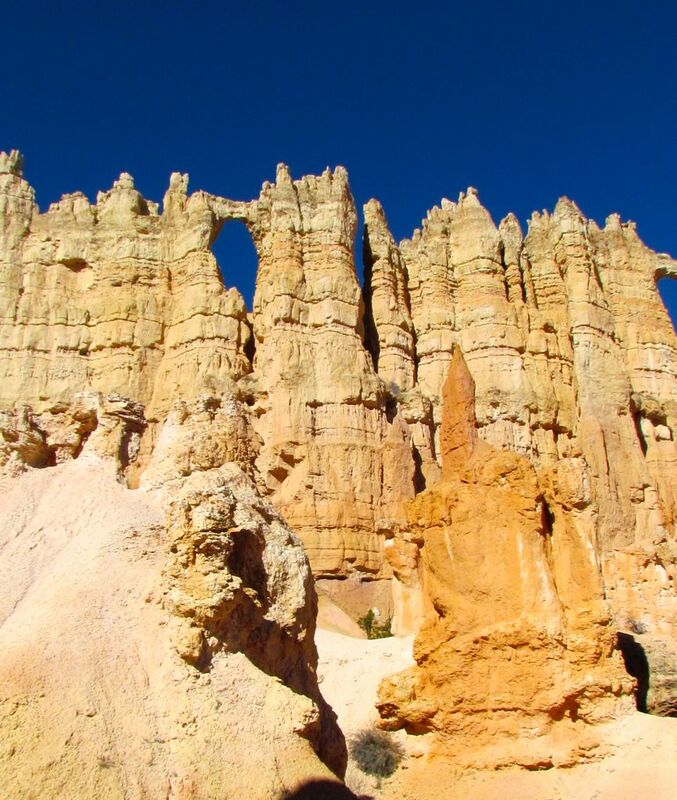 In retrospect, we suggest spending an extra night in Springdale and travelling to Bryce early the next morning as Bryce Canyon City didn’t have much to offer. 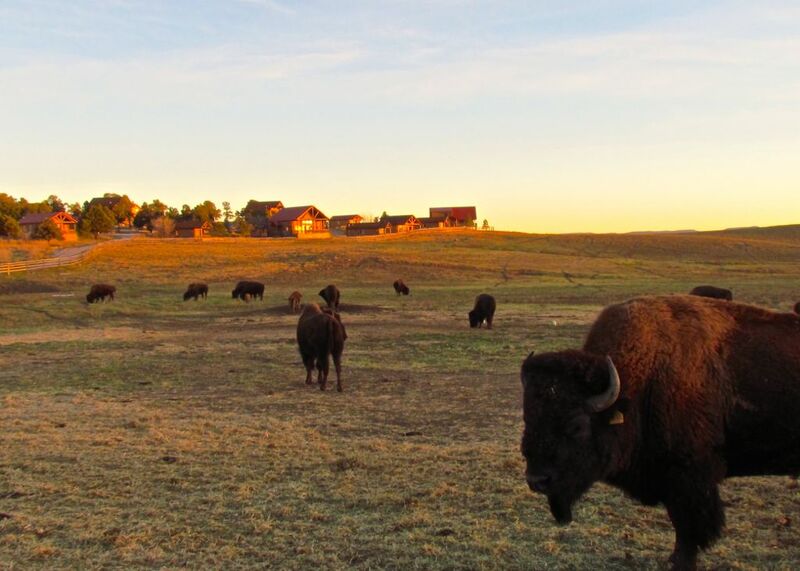 The Reuben Syrett family established a ranch in here in 1916 and have hosted visitors ever since. The Syrett’s have a monopoly on all the services; general store, campground, gas stations, hotels and restaurants. They do an efficient job of Mormon organization and delivery making up for the town’s lack of variety. 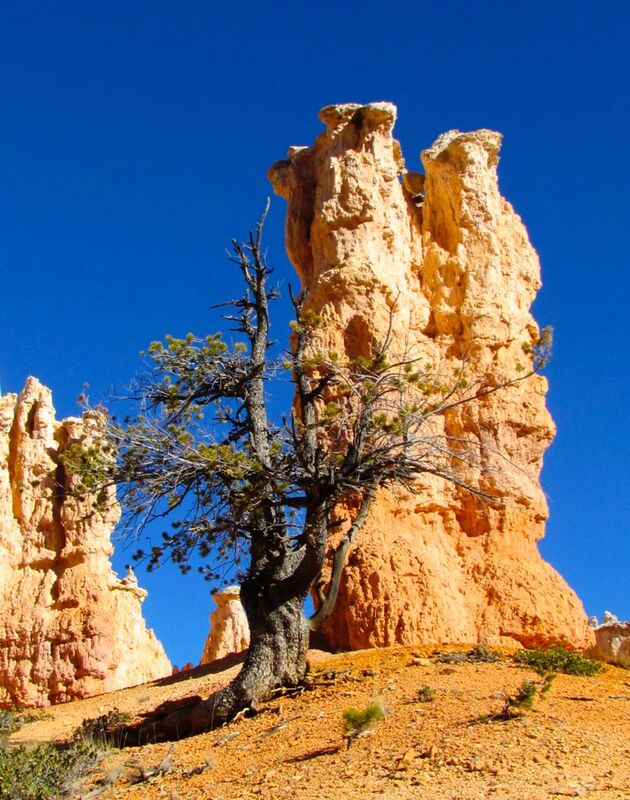 A full day starting at sunrise is sufficient to discover Bryce Canyon National Park. View from one of the many overlooks of the canyon. 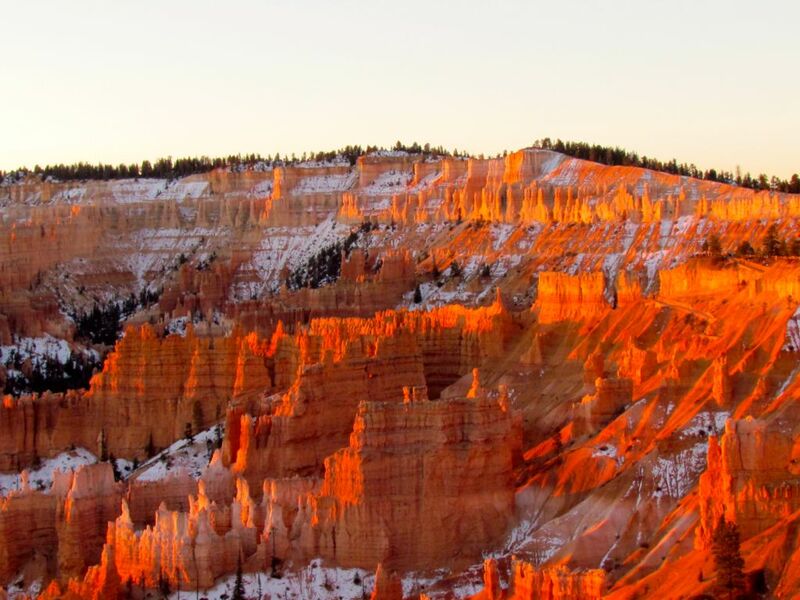 We suggest you get up before sunrise for the spectacular light show over the rocks at Sunrise Point, go back to the hotel for a buffet breakfast and return for a day of hiking through the amazing amphitheatres of hoodoos and rock pinnacles that will captivate your senses. It is truly magical. 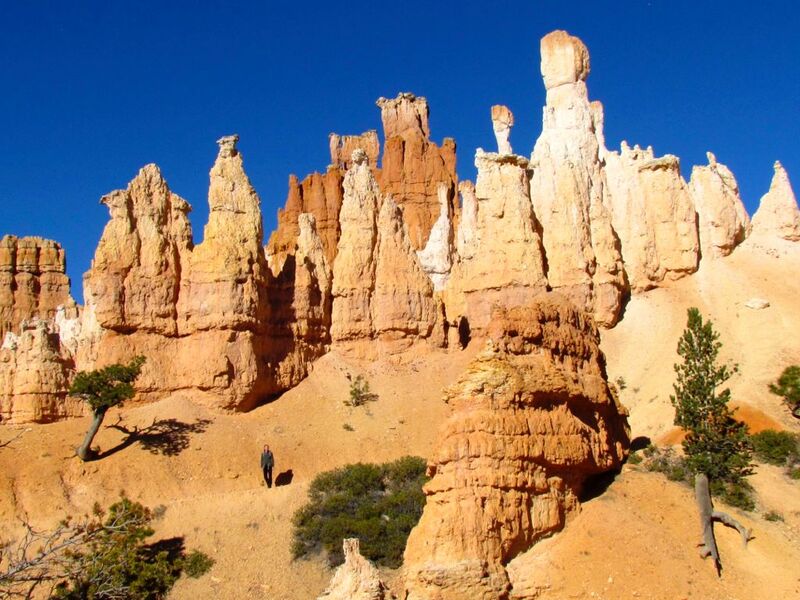 The park has many overlooks along the rim each offering exceptional vistas, but to really get an intimate look of the hoodoos, venture down into the canyon. 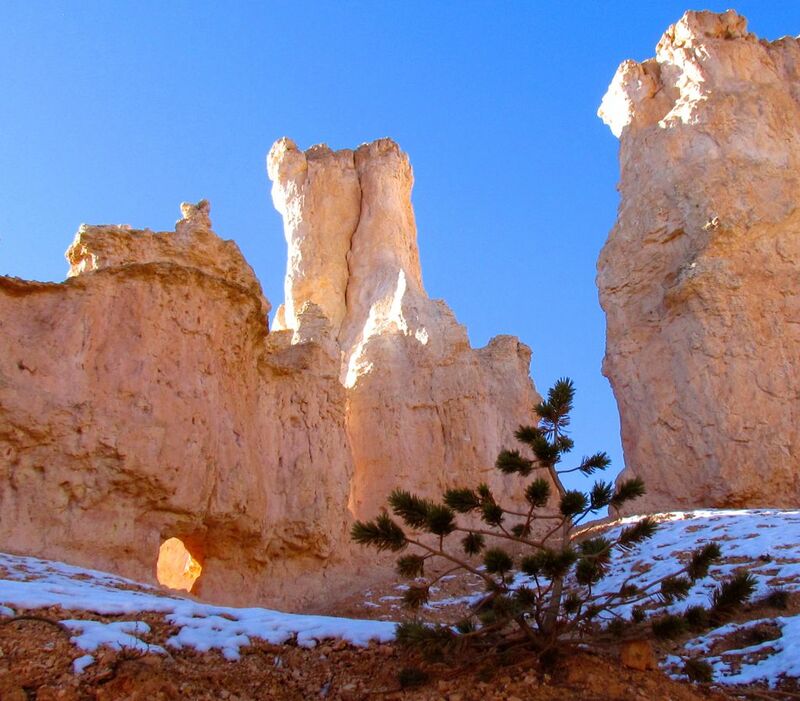 Fun trail names like Navajo Loop, Peek-A-Boo Loop, Fairyland Loop and Queens Garden invite you to explore. 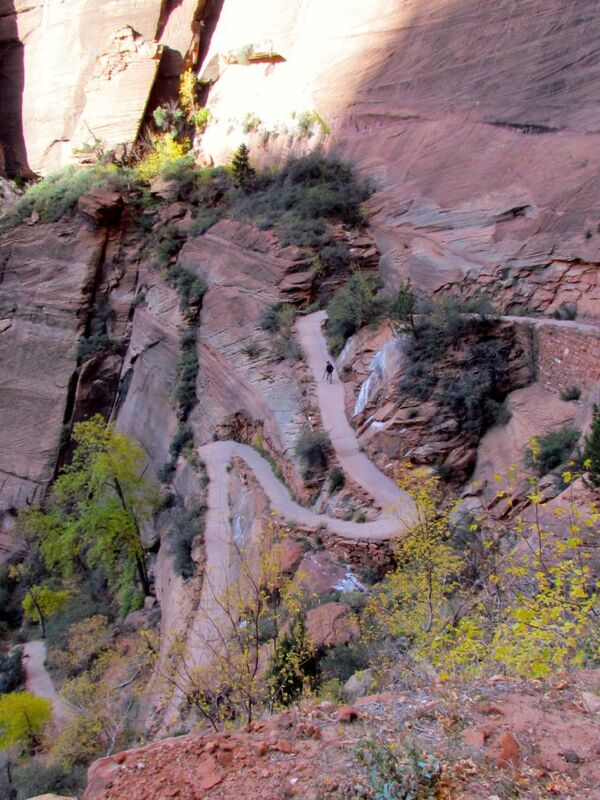 Every step you take as you descend the winding trails will leave you in awe. 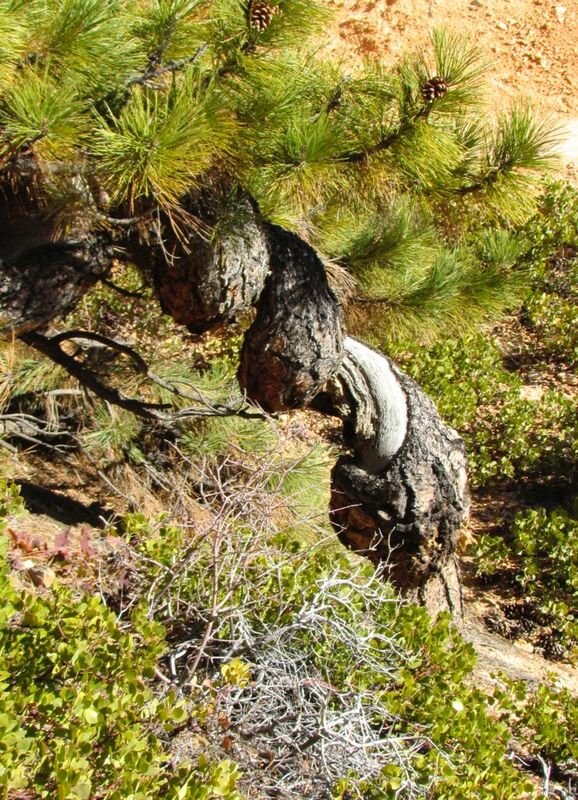 Wild twisted tree trunk of the Bristlecone Pine, the oldest tree species on earth. The north facing trails sported a sprinkling of snow. Dress in layers, we were constantly adjusting to the temperature as we moved from sun to shade. Sinking Ship rock to the right of the tree trunk. 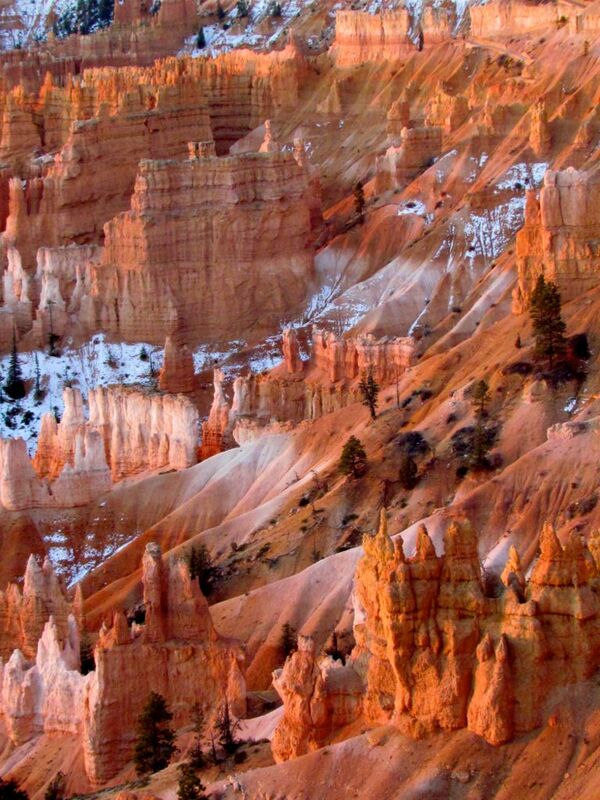 We watched the sunrise on our second morning in Bryce, with better planning we could have easily done this on the previous day. Braving the cool crisp November morning with other avid photographers we waited for the morning sun to illuminate the amphitheatre. As the sun peeked over the horizon cameras started clicking. 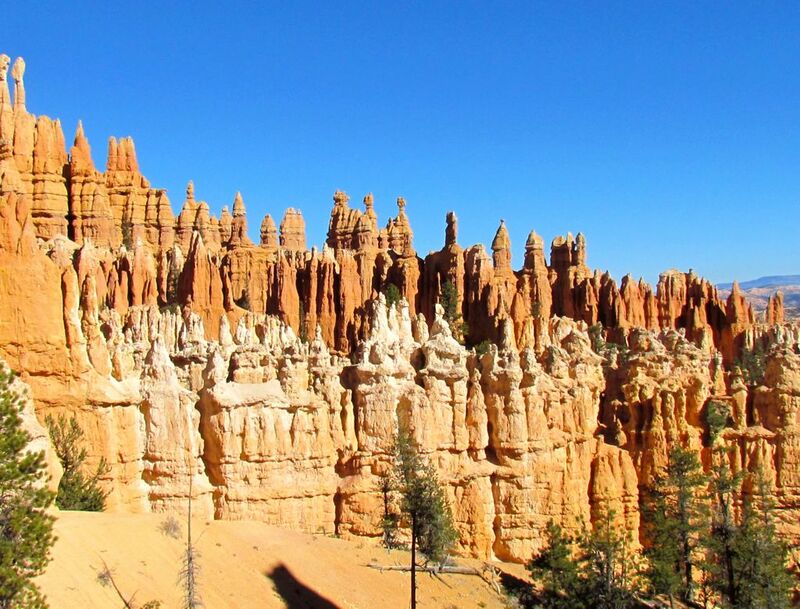 Leaving Bryce towards Las Vegas we looped back across the Dixie National Forest stopping at Cedar Breaks National Monument along the way. 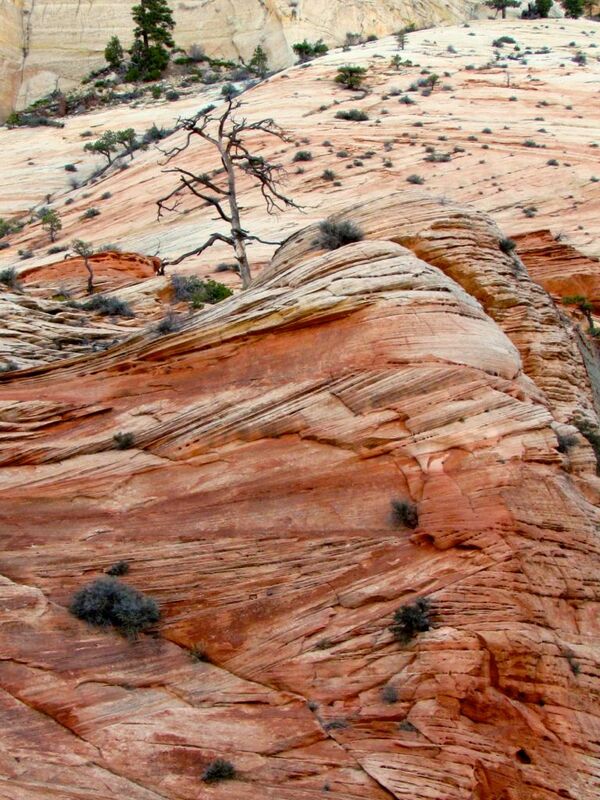 From Cedar Breaks, we continued on to Vegas stopping once more along the way at Kolob Canyons, the north-west part of Zion National Park. In Vegas, we returned our rental car then set out for cocktails under the neon lights of the big and flashy city. All you can eat buffets, gambling and betting, Cirque du Soleil show or showgirls, the Bellagio fountains dancing to music and lights or touring the Strip and theme hotels, there is ample to do twenty-four seven. — Love it or hate it, you’re there so enjoy your day because tomorrow, it’s back to reality!